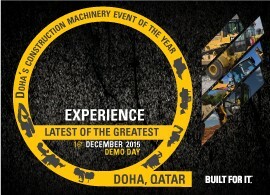 Al-Bahar in collaboration with Caterpillar will be exhibiting at Big 5 Heavy 2018 - a new, independent, international large-scale exhibition dedicated to the heavy construction industry. 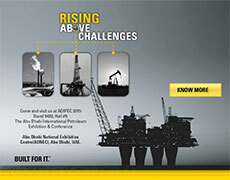 Join Al-Bahar at the world's most important Oil and Gas exhibition and conference – ADIPEC 2018. Join Al-Bahar at the world's most important Oil and Gas exhibition and conference – ADIPEC 2016. 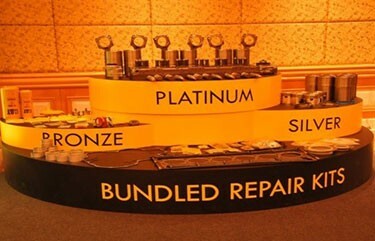 The success ratio for any business is determined by its ability to control costs of operations. 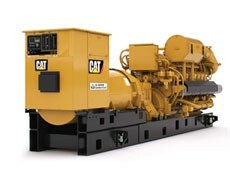 In the construction, petroleum and other similar industries, a major proportion of the cost for operations, relates to equipment owning and management. Mohamed Abdulrahman Al-Bahar and Sons W.L.L. 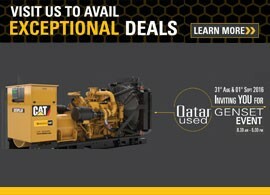 recently concluded its Used Cat® Generators Sales Event from 29th to 31st March 2016 at its facility in Doha the capital city of Qatar. 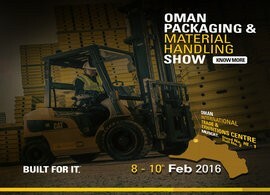 Oman International Exhibition (OITE) Centre, under the auspices of Mohsen Bin Khamis Al Balushi, Advisor of the Ministry of Commerce and Industry, recently conducted Oman Packaging & Material Handling Exhibition (OPMEX) 2016.The event was held at the OMAN International & Exhibition Centre, Muscat from 8-10th February 2016. 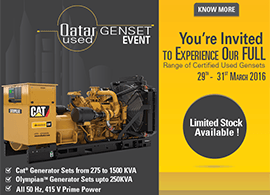 Oasis Trading & Equipment Company L.L.C., Al-Bahar’s Machinery Trading arm in Oman, is cordially inviting you to come to our Oman Open Day this coming 28th to 29th of April 2015.